As expected, Samsung finally unveiled the Galaxy S4 Mini which actually does not seem like a mini version of the mighty S4 in terms of specs but has the similar outlook. Just few days back we reported about S4 mini being sighted in Samsung’s website which gave us an indication that the South Korean company would be unveiling it soon. And so they did. The official event “Samsung Premiere 2013 GALAXY & ATIV” will take place on June 20th in London where the S4 Mini will be launched alongside other devices. According to the rumoured specs, the Galaxy S4 Mini was supposed to be armed with a Dual Core Exynos 5210 processor at 1.6GHz by 1GB of RAM. For the display, it was supposed to have a 4.3-inch qHD Super AMOLED Display and would run on the late Android 4.0 OS. For camera, the rear would have a 8.0MP sensor with the front not known and would have a 1600mAH power unit. Now, for the official specs. The rumoured specs were very much understated and hence, this is the reason why we shouldn’t go all jumping around seeing leaked infos. Well some of the specs turned out be right such as the screen size and the camera. As the S4 mini comes with a 4.3-inch qHD display, there is no way to expect that the display will be similar to that of it’s big brother. The S4 comes with a 1920×1080-pixel on its 5-inch screen whereas the S4 Mini has only 960×540 pixels having a 256 pixel density. The S4 Mini is equipped with 1.7GHz Dual-core processor and 1.5GB of RAM and weighs 107g with the 3G version weighing one gm more. 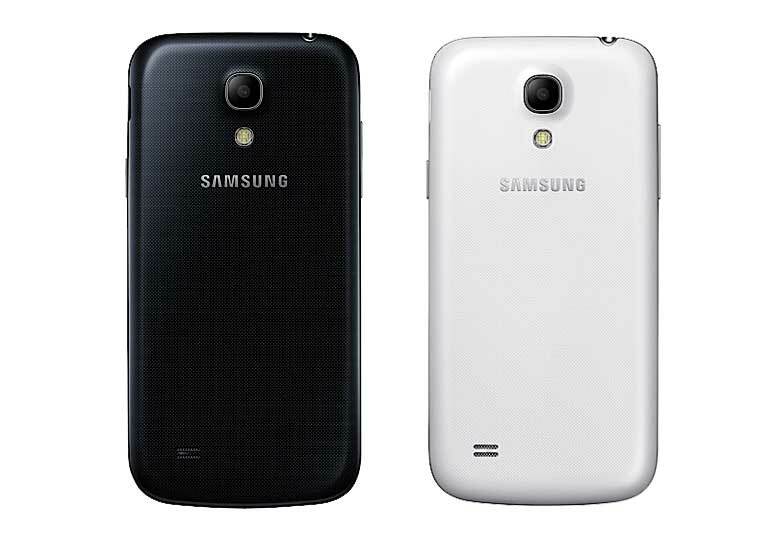 Good thing that the S4 mini will run on the latest Android 4.2.2 and would have similar features that we have seen in S4 such as Group Play, S Transaltor, ChatON, WatchON and S Health.The device would come in two colors :White Frost and Black mist and according to Samsung, the availability of 4G LTE, 3G HSPA+ and the 3G Dual Sim will be determined by the market. 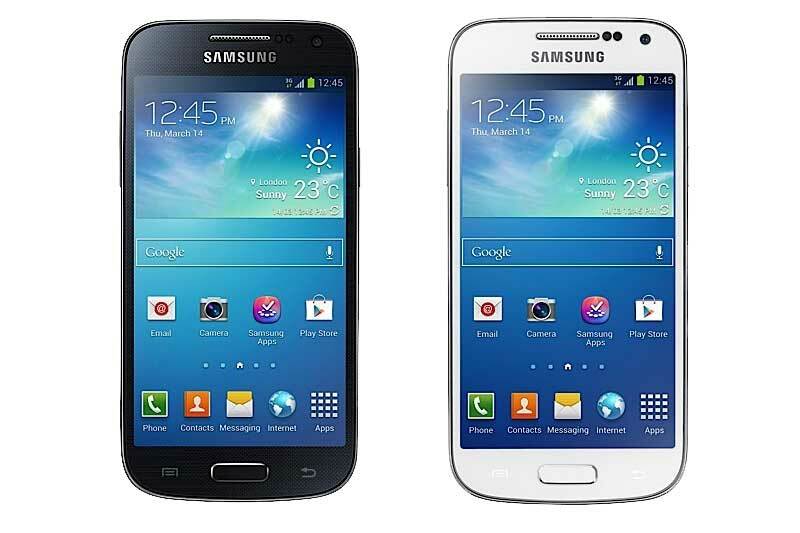 So, for those of you who dislike carrying a huge device the Samsung Galaxy S4 Mini can be the perfect device for you. Let us know your thoughts on the new device!